Journalists and citizens have been injured in Tirana this evening, following the excessive use of tear gas by Albanian police. The reporter, working for Tema TV, believed to be Eliza Gjediku was rendered incapacitated by the gas, thus preventing her from reporting on events. This seems to be yet another example of a state attack on journalists, following their attempts to report on the ongoing anti-government protests. 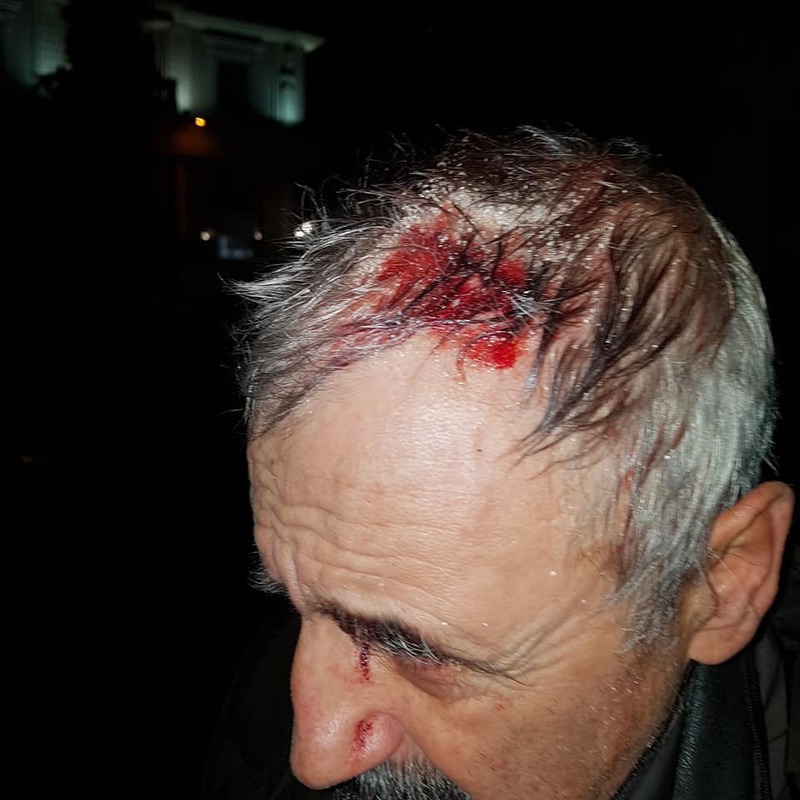 Freelance photographer, Arben Dajci also sustained head injuries during the course of this evenings protests. He stated that he was hit over the head with a metal baton, believed to have been wielded by a policeman. 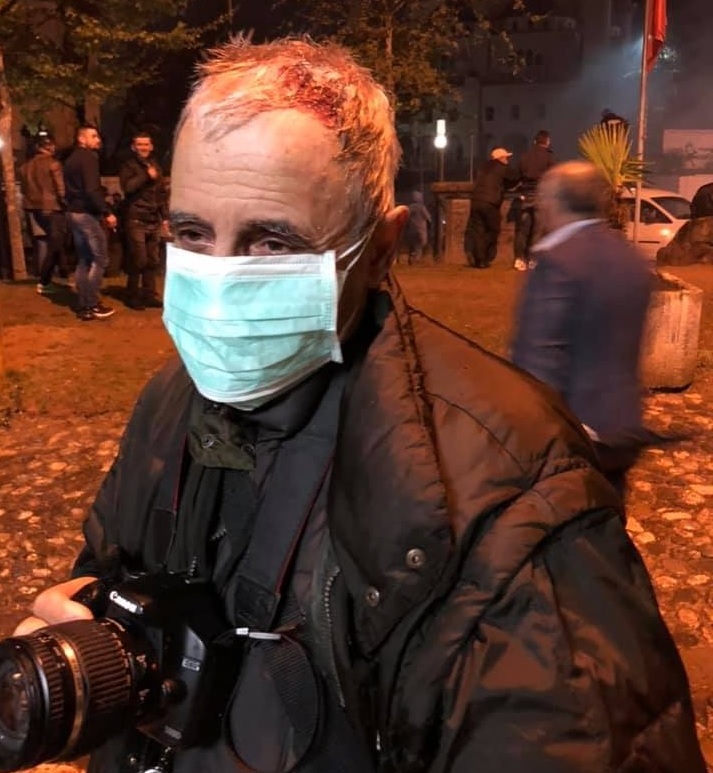 He added that he had only been in the protest to take photographs of what was happening and that the blow to the head took him completely by surprise. Tens of thousands of protestors congregated in the main boulevard of the city, outside the office of the Prime Minister chanting “Rama out” and letting off flares. Breaking through the police line, a handful of protestors ascended the steps of office, chanting and letting off flares. A number of paint bombs were fired at the walls of the office, and asides from minor civil disobedience, the protests remained peaceful. Shortly after, the protestors marched on the Parliament where they continued to fire flares and smoke bombs. The police responded to this by firing vast amounts of tear gas into the crowd. In the video below, you can see the cannisters being fired directly at civilians at such a velocity they could cause serious injury to anyone caught in the line of fire. Tear gas, which is classed as a chemical weapon and banned in war zones has been regularly used on members of the Albanian public. With no discretion or consideration for journalists, police, or those in the crowd, the canisters were fired and resulted in multiple injuries. Gas was last used in a protest on the 16 March when a number of elderly citizens, women, and even children were injured by the gas. 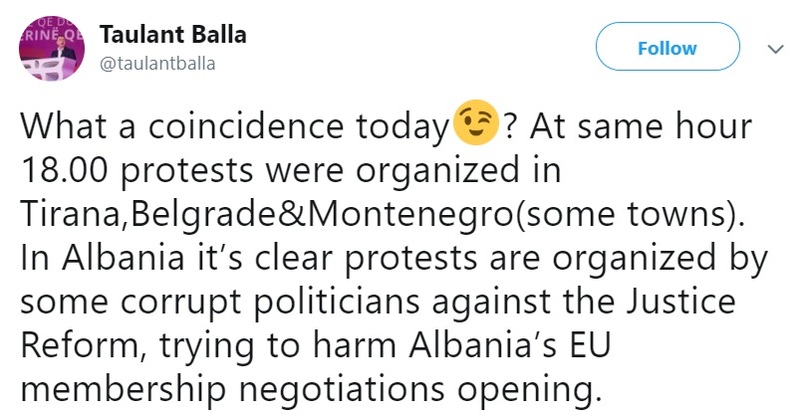 Head of Socialist Party parliamentary group Taulant Bala, himself implicated in a number of allegations of corruption and links to criminal activities, tweeted that “corrupt politicians” were conspiring to harm Albania’s EU membership. This is despite the fact that the government he is a member of is accused of vote rigging, links to organised crime, widespread corruption, drug trafficking, money laundering, the violation of freedom of speech and expression, and increasingly more authoritarian rule. 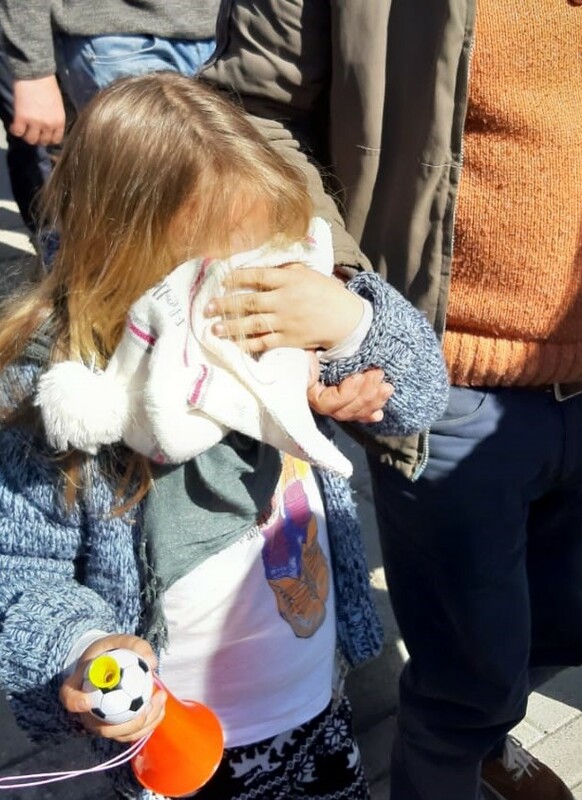 The Albanian police used tear gas on civilians again this week, this time to evict people from homes that are set to be demolished to make way for the New Boulevard. According to accounts from those on the scene, gas canisters were fired into people’s homes shortly after 6am, as well as into the crowd to stop them from defending their homes from forced and illegal eviction. Three people were hospitalised. 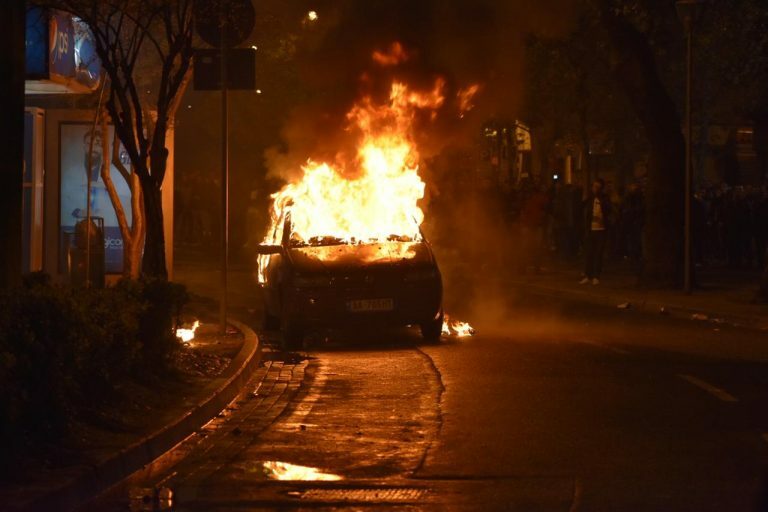 A vehicle was set on fire towards the end of the protests. The Fiat car, parked in an area that had been cleared and where vehicles were not allowed to be parked was set on fire by a lone individual wearing a mask. Not only this, but the vehicle was then discovered to have fake number plates leading some to raise their suspicions that it was a ‘false flag’. 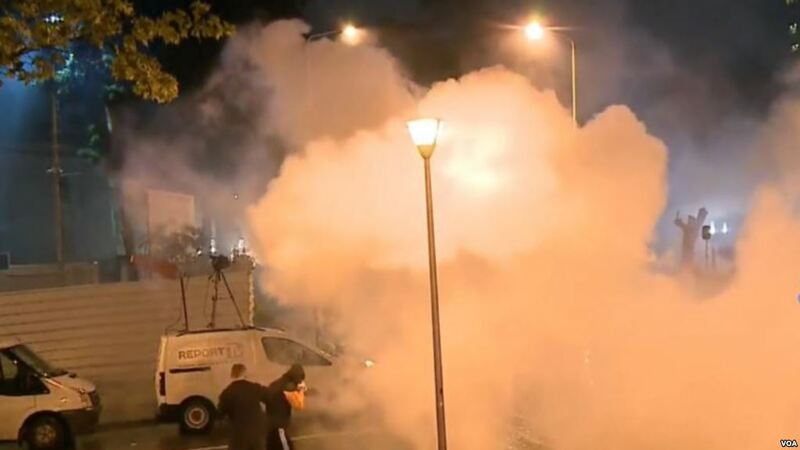 Some portals have even claimed that according to their sources, the vehicle belongs to the secret services and was set on fire intentionally to justify the ongoing use of tear gas on civilians. The protest finished shortly afterwards, after four and a half hours of civil action. Huawei IT Project Bound for Albania, Should We Be Concerned?